Richard’s early pharmacy career began by cleaning the parking lot, sweeping floors and stocking the shelves at his father’s pharmacy, CDS #7. Richard attended Western Kentucky University for pre-pharmacy classes. He graduated from pharmacy school at the University of Kentucky in 1968. After graduation, he worked at his dad’s pharmacy until being drafted into the Army. In 1974, he and his dad opened CDS #10 at 1308 Ashley Circle. Richard and his wife, Judy, have three children (Darren and twin girls, Laura and Sara) and six grandchildren. 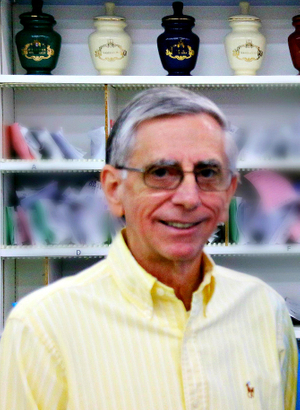 Richard has thoroughly enjoyed the relationships he has made through the pharmacy over the years. Thank you all for your friendship and support.